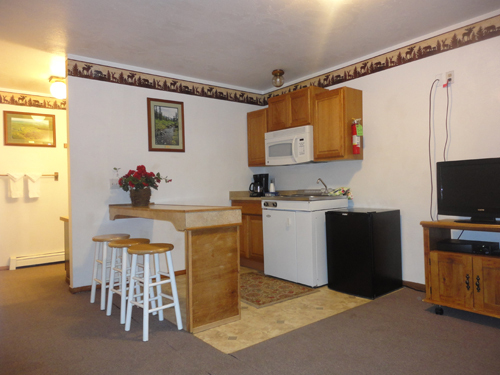 This room comes with kitchenette, vanity area, cable television and dining area and sleeps two to four people. There is plenty of room to stretch & relax! This room is set up with 1 queen bed and 1 full-size sofa bed.